Parent/Teacher conferences are scheduled for Tuesday, February 12th. There will be NO SCHOOL for your children that day. You can sign up for a conference time on the sign-up sheet outside the classroom. It is best if you are able to discuss your child’s progress without your child being present, so we ask that you make alternate arrangements for your child during conference time. On February 17th, our sponsor church is hosting “Scout Sunday” in both the 9am and 11am worship services. Their cub scouts, boy scouts, and girl scouts will lead all aspects of the worship services on that day and would love to invite everyone in our community to come support the scouts as they learn and demonstrate what it means for a scout to be reverent. Girl scout cookies will be on sale after the worship services! 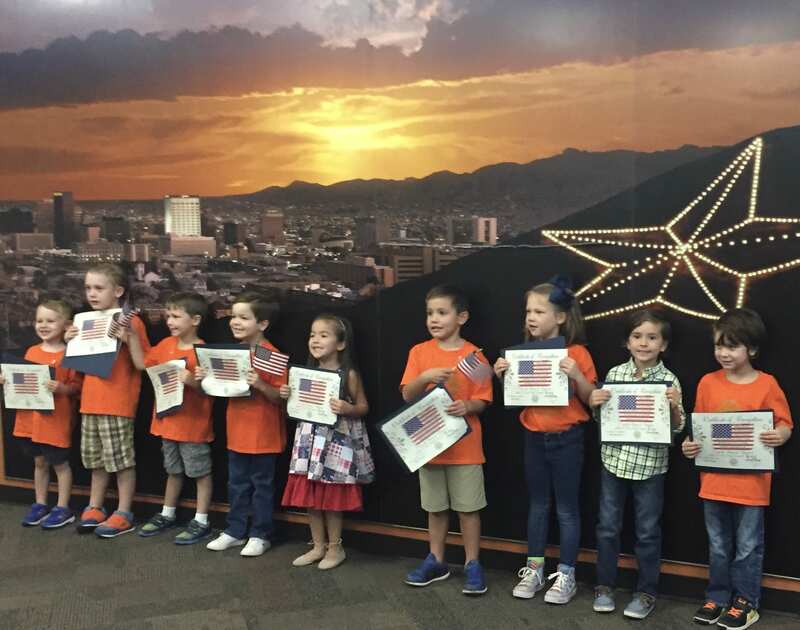 Our Kindergarten classes will be making a special trip to El Paso City Council to lead the Pledge of Allegiance on the morning of February 19th. If your child is in Kinder, please see your teacher for more details. Our In-House Registration for the 2019-2020 school year will be online this year. Check your email on February 19th for the link. Please be sure you have all emergency contact and doctor contact information and you have read the Parent Handbook. You can find the handbook here. Take a few minutes to complete the registration process based on your child’s needs for the fall. All annual fees will be due and paid online, by credit card or bank account, to complete the online registration process. The deadline for online registration to secure your child’s spot for the fall is February 22nd. All remaining spots will be filled from our waiting list. Please contact the Preschool office at 915-532-6157 with any questions. Please save the date for our annual Art Show Fundraiser the evening of Thursday, April 19 at the International Museum of Art. Learn more about the event, sponsorship opportunities and how to volunteer here. 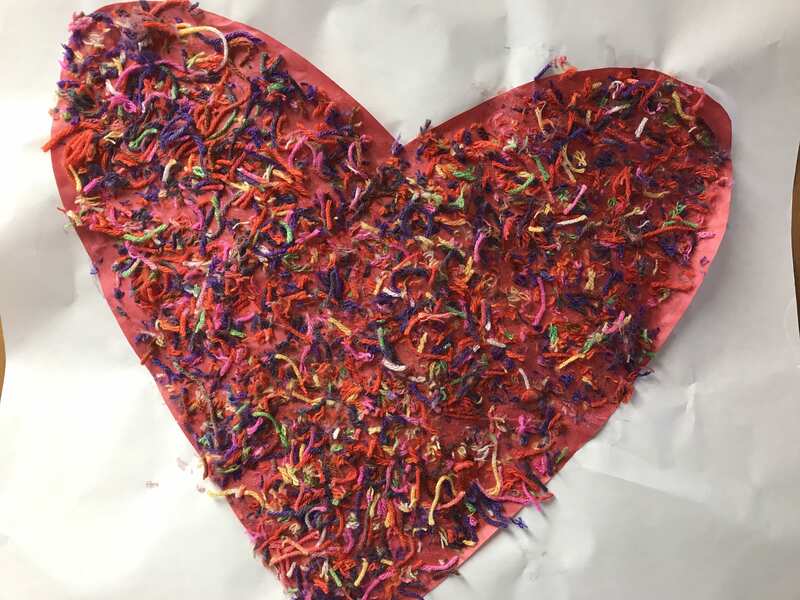 Valentine’s Day is a fun holiday that each class will celebrate in its own special way. In accordance with school policy, we ask that you not distribute candy, candy bags, goodies or unhealthy items to the children. Homemade Valentine’s or trinkets are the ideal way to show friends you care! Thank you for your patience and understanding during our recent unexpected school closure. We are happy to let you know that we will be able to offer a make-up day! 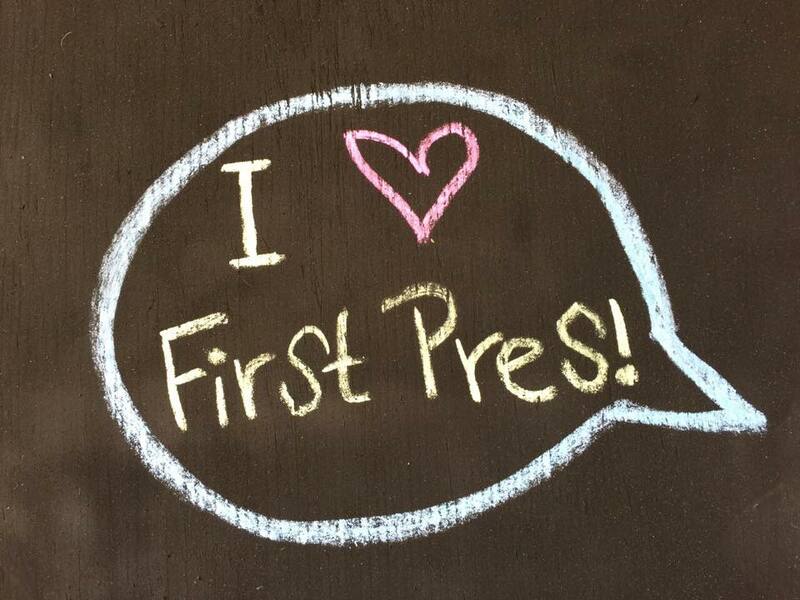 We had a scheduled Teacher In-Service workday on February 18th, President’s Day. Fortunately, most of our staff has already fulfilled their training hours, so instead, we are able to reschedule it as a regular school day. Pastor Neal will be leading a new confirmation class beginning the first Sunday of February. Confirmation is for anyone in 3rd – 9th grades who is interested in learning more about the Christian faith and what it means to be part of a faith community. The class is open to both church members and non-members. The class will meet Sundays at 10am February through April. “Nature – with its infinite and boundless glory – is a kaleidoscope filled with wonder. Like a kaleidoscope, nature changes from moment to moment, revealing intricate patterns, dazzling colors, and magnificent feasts for our eyes, minds and souls.” Quoted from Ideas for Nature-Based Classroom Experiences for Young Children. Making it possible for our children to have enriching daily connections with nature is something we earnestly value and encourage. We support deep personal connections with nature. We encourage connections with beauty and wonder allowing children to experience profound appreciation for life. Our job is made easier through our Certified Outdoor Classroom where children interact with the outdoors with their whole being! 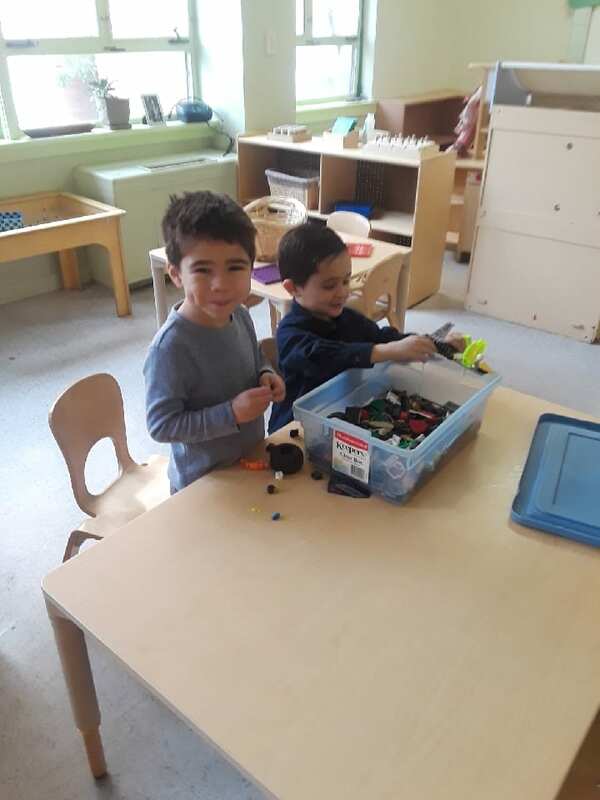 Children experience optimal opportunities to build many of the foundational life skills they need in order to be successful, competent, happy adults. Research shows outdoor learning experiences positively impact not only children’s physical development, but also academic performance, peer interaction, and emotional well-being (Merewether 2015: Yildirim & Akamca 2017). Teachers use outdoor learning as an extension of classroom learning the same way they use music and yoga experiences. Inspired by the children, teachers enrich the outdoor environment with materials to foster curiosity and wonder. Beauty is explored through the physical kaleidoscope of seasonal changes, bursts of color, texture and smell. Attentive teachers watch children, appreciate what children do and provide a wide variety of materials and sufficient time for children to engage with materials in their own ways. Teachers interact with children and use this time to stimulate intellectual, inquisitive, observational, and vocabulary development. Developing the whole child using our certified outdoor classroom is an important and valuable aspect of our program. You too can extend their experiences in nature by taking them outdoors to explore, get to know what their interests are and enjoy the capable little people they have become!